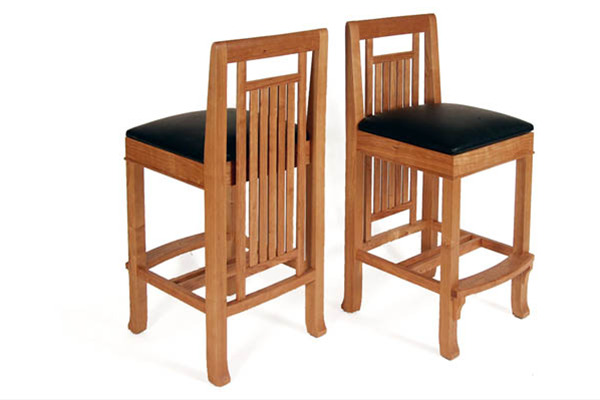 These Arts & Crafts stools are inspired by the lines of Frank Lloyd Wright, Stickley and other designers of the movement. Adaptable to many design schemes. Can be done in various natural wood combinations or with stains or paints. Perfect for your 36" high counter. The price includes a slipseat, but not the cost of installation of your fabric or leather.